Steve Stockman’s last-minute switch to the Senate race left a void in CD36 on the Republican side that is being filled by a dozen Stockman wannabes. Firebrand Texas Republican Rep. Steve Stockman on Monday mounted a surprise primary challenge to Sen. John Cornyn (R-Texas), setting the stage for the latest potentially explosive battle between a tea party darling and an incumbent firmly backed by the GOP establishment. Both as a candidate and as a congressman, Rep. Steve Stockman of Clear Lake has failed to make federally required disclosures about business affiliations that stretch from Texas to the British Virgin Islands, and has provided no details about the business he claims as his sole source of income. 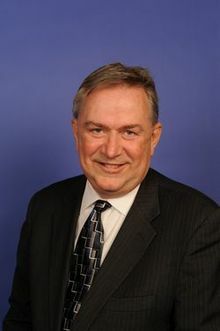 Rep. Steve Stockman has fired two congressional staffers after disclosures that both made prohibited contributions to his campaign. The incident is the latest in a string of controversial episodes that have dogged Stockman’s political campaigns over the past two decades.